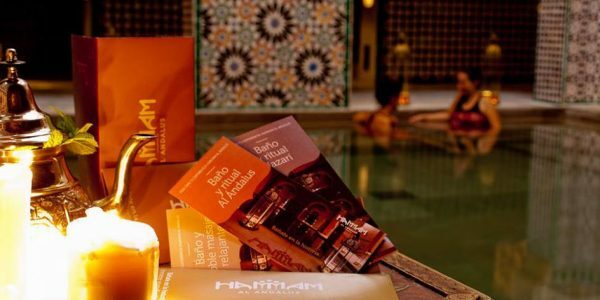 When staying in Málaga, you will often hear and recognize the word Hammam and arabic bath. 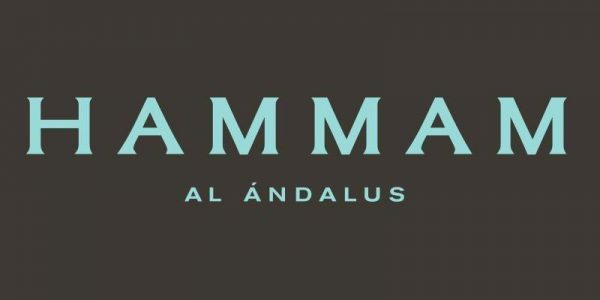 Its really common in Andalusia as there was a long time period of the Arabs in Spain especially in Andalusia. 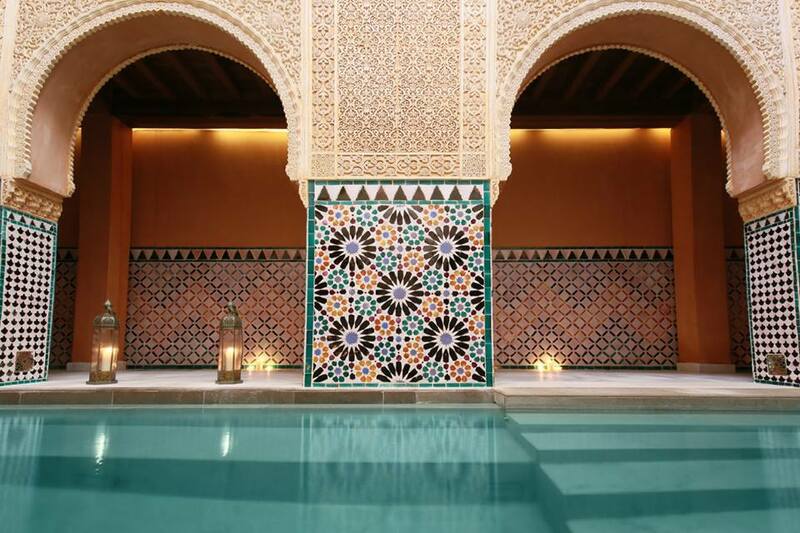 Today people go to these baths to relax and enjoy. To get a little break from the every day live. As I am staying here in Malaga for 4 months I definetely wanted to have this experience. I finally went there last weekend with a friend of mine at around 12.00 o’clock at night. People in my home country and maybe also people from other countries, escept Germany might think “Wow thats really late”, but the first thing I learned in Malaga when I arrived, was that the days are much longer then they are, for example, in Germany. We went there a little bit nervous but really excited, as we haven’t had really a idea what exactly to expect. We had to wait a few minutes until a person came to tell us where we can change and leave our things. When we came into the changing area it feeled really great, like in a movie with nice mirrors, hairdryers, styling irons, body lotions, showers that included shampoo, condtioner and body gel. The cabines also had lockers for everyone, with a pascode to store your things, which was actually really good as you didn’t had to worry about your vakuables. Everything is arranged in the arabic style, which I really like as it feels like 1001 night. When we changed our normal clothes to bathing suite, we went through a red curtain, nicely welcomed by a women who gave us warm towels and told us where to go, even at the entrance the atmosphere felt relaxing with a a bit of excitement in a positive way. We got to the point where the relaxation should start when we came into a temple with different kind of baths. In the beginning on the left as well as on the right side we found smaller baths that where really cold, as they should give your body a cooldown after the hotter baths we found behind those cold ones. The whole bath was really hot and you were feeling like you are in a sauna. There was a big bath in the middle of the temple that was filled with warm water and warm aire that sourrounded that bath. When you walked ahead you found on the left hand side the third bath that was really like a hot tube and also called the same. The aire was the hottest in the whole bath and the water even hotter than in the big bath in the middle. Being in the water felled great as your whole body and all your muscle relaxed. But not just your body, also your mind takes a time out while sitting, swimming or flooding in the bath. For me it felt great and really relaxing as I was really in the here and now, just enjoying the moment without thinking about anything. While you are in the bath it feels like the world outside doesn’t exist anymore which is really great for a moment as you focus on yourself. You have time just for yourself as mobile phones and other electronic devices are not allowed inside the temple, which is in that time a welcomed gift. In the area of the hot bath was also a room located with hot stones, where you have the possibility to simply lay down without being surrounded by water. Beeing in the water was the best as the water had a touch of oil and suggled therefore perfectly around your body. The smell of the essence was relaxing and gives you the last thing you need to let go of everything in your head. As it is really hot, and your body looses a lot of water, there is also a “station” where you can always trink water. When going upstairs, you will find a relaxation area, where you can sit down enjoying a cup of hot tea, sugered and unsugered which gives your body a bit new energy. After our time in the bath a women picked us up for our massage. We booked “Mimma 30” that means we had a 30 min massage and 60 min in the actual bath for ourselfes. 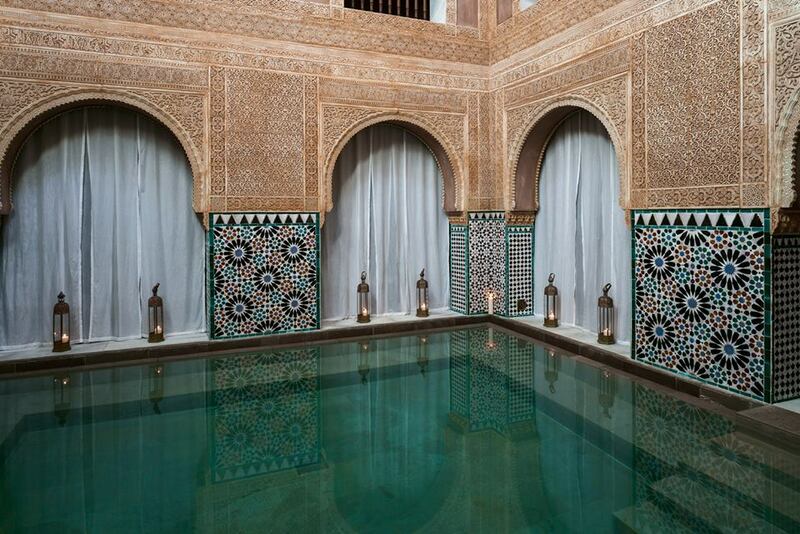 The room where the massage took place, was big and very silent like the rest of the bath with relaxing music. Nearly all masseures were man, that was no problem for me, as mine was really professional and did a great job. The time of the massage went by very quick and I would have liked to have more time for that. The time in the bath was sufficient for me, as the aire is really warm and therefore exhausting for body and mind when you are not used to it. After the massage, we left the bath and find fresh towels for everyone to take a shower and make yourself ready to leave this kind of other world. For me it was something totally different and I am really happy I used this opportunity as it was really relaxing. I can really recommend to go there and see the magic for itself. I will definetely do it again.